It’s well documented how much the Kardashian’s and other A-Listers such as Victoria Beckham, Cheryl Cole and Cameron Diaz love and swear by Laser Hair Removal down to its ability to permanently reduce unwanted hair everywhere – although as time is precious for celebrities they are always on the look-out for quicker, more effective treatments and now this must have treatment has got faster and more comfortable than ever before. With Titanium’s unique technology its now possible to treat a full leg in less than 20 minutes and an armpit in less that 12! The NEW Soprano Titanium Laser Hair Removal System quickly and painlessly destroys unwanted hair, while ensuring comfort throughout and is suitable for all skin types including dark and tanned skin meaning you don’t have to cram your sessions in over the winter – making it a celebrity and Instagram sensation! 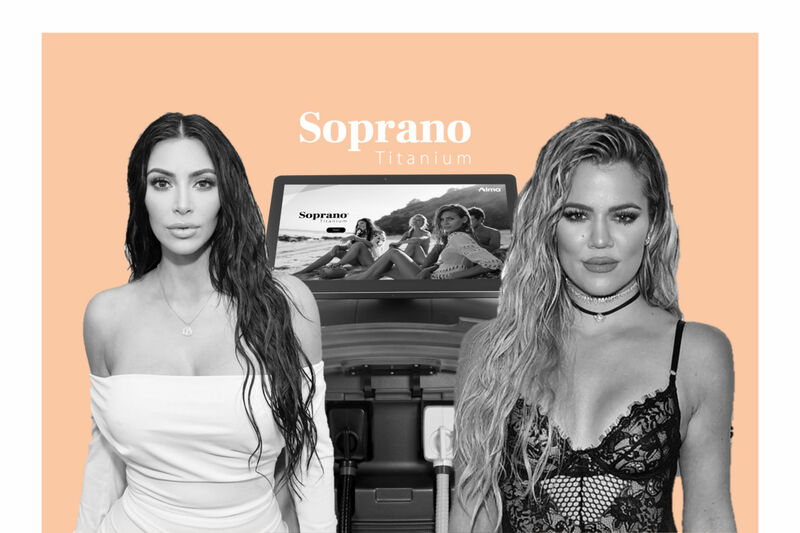 Soprano Titanium delivers fast, safe and effective results in just a few short sessions with no downtime or recovery time – meaning you can have silky smooth skin, just like the Kardashians in no time and even with a tan!